While Frankfurt saw manufacturers pull wraps off plenty of quick road-going metal, most would wimper before the M6 GT3 which BMW debuted to the public. Finally shown in its race painted glory, as opposed to the garish camouflage swirls we first spotted it dressed in, the new M6 GT3 showcases BMW’s replacement for the Z4-based race car. Besides the car’s undisguised panels, there’s the race-prepared 4.4-litre V8 that’s shared with the road car, albeit in de-tuned 430kW form (11kW less than the road car), a six-speed sequential ’box, and regulation transaxle. We now are also afforded a better perve at what BMW’s done to the road car's gizzards in preparation for war with cars like the Bentley Continental GT3, Ferrari 458 GT3, and McLaren 650S GT3 next year. Thanks to new carbon fibre bodywork the front and rear tracks have been fattened considerably, and made to accommodate a variety of air scything aero parts. Then there’s that huge radiator peering through its front bumper. BMW looks to have ditched water-intercoolers for air-to-air items, which would help the M6 hit the weight the 1300kg needed for the GT3 category’s balance of performance rules. The car’s front suspension and chassis have also been revised, with front dampers now latching on to front tubular supports that are shielded by wider carbon fibre wheel wells. Elsewhere there are the usual items: roll-cage, bucket seat, airport sized wing, and fat slicks. 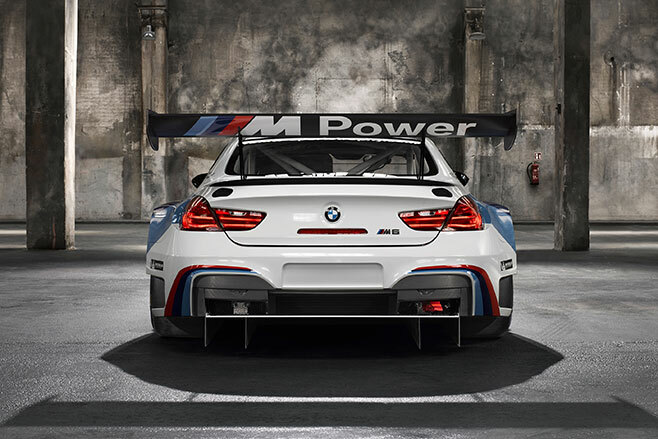 Of course, all this has to be paid for, and the M6 GT3 weighs in at $599K. Amazingly, though, that won’t scare off many customers, with GT3 being the blue ribbon motorsport category for cashed-up gentleman drivers. 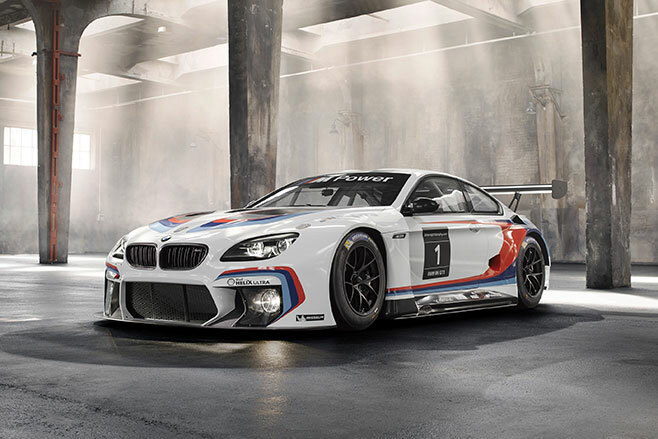 The new M6 GT3 is expected to begin its competitive career at the 24 Hours of Dubai early next year.